Yay, I made something special for my husband’s birthday this year. Yes, this was his favourite strawberry cream cake. The beautiful sweet strawberries were bought at a special price. They’re nothing less than perfect. My husband once said that strawberries and fresh cream are perfect partners for making any dessert. I couldn’t agree more. 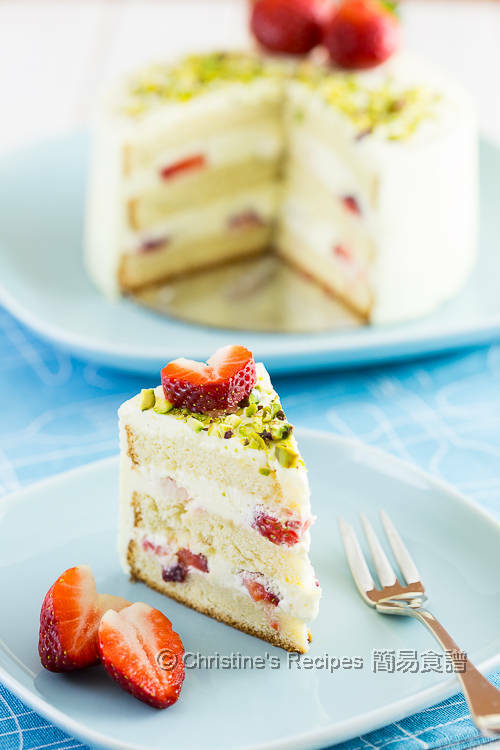 The sweet and slightly tangy taste of the berries is just right to balance the flavour of the whole cake. Instead of making a 20-cm (8-inch) cake, I decided to make a smaller, 15-cm (6-inch) one this time. It’s a good sized cake for two-people celebration. 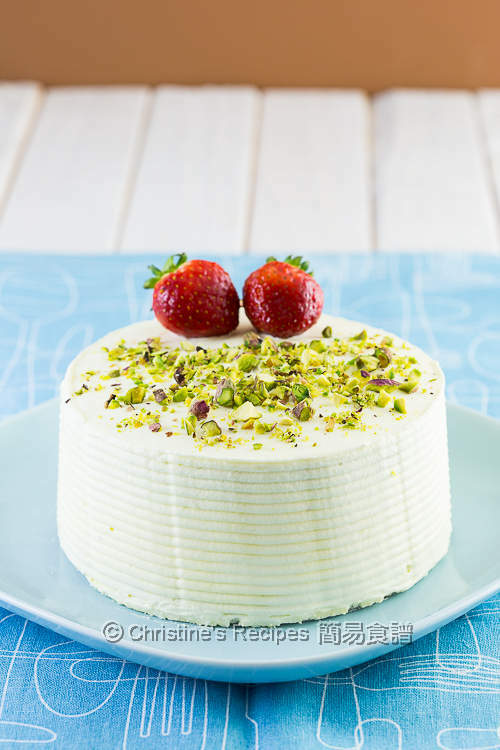 As fresh cream is used, without any preservatives, it’s better to finish the cake as quickly as possible. For convenience, you may use the store-bought sponge cake to whip up your own. In a chilled mixing bowl, beat the cream with an electric mixer at high speed for about 1 minute. Mix in the vanilla extract. Add in the sugar in 2 to 3 batches. Beat until stiff peaks form. Chill in fridge for later use. To make the rum syrup, mix all the ingredients well. Set aside. 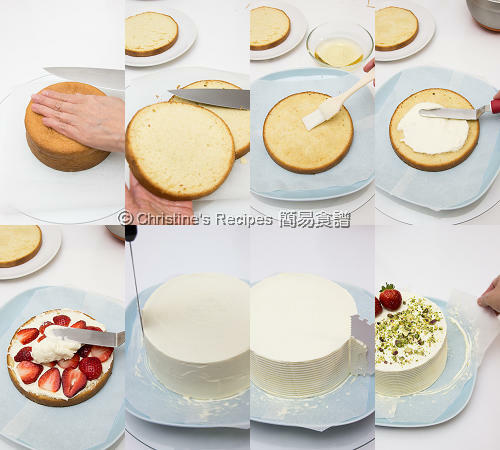 Use a knife, thinly trim away the uneven cake top, then slice the sponge cake into 3 layers. Evenly brush the rum syrup on each layer. Spread whipped cream with chopped strawberries overtop. Add another layer of cake on top. Repeat this step until all 3 layers are in tact well. Frost the edges and the top with the remaining whipped cream. Chill in fridge for 3 hours. 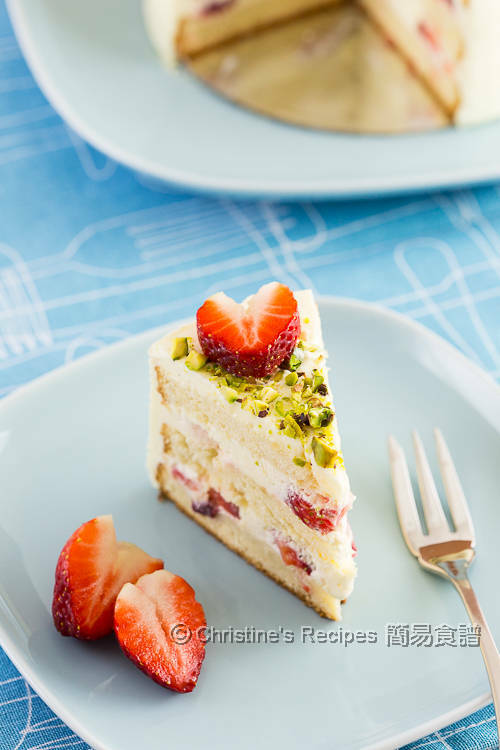 Garnish with chopped pistachio and strawberries as desired. Enjoy! To get the best results of whipped cream, chill the utensils half an hour before beating. Remember to put it back into fridge until it’s ready to be used. I used thickened cream that it’s very easy to whip and stable. You may use heavy cream or heavy whipping cream with 35％ fat content. 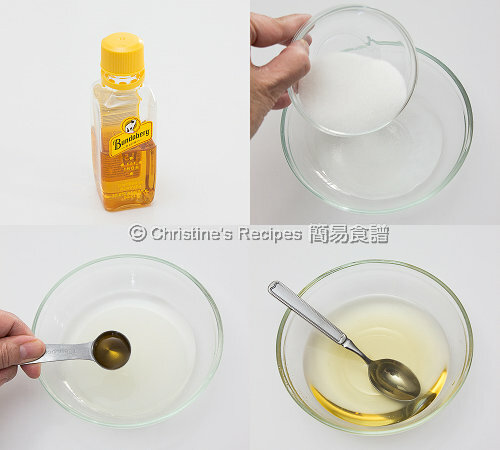 Those slim cream with lower fat content is very difficult to whip until stiff peak forms. By brushing rum syrup on cake layers, it helps to prevent any small bits of crumb going into your whipped cream, as well as increase fragrance and moist in your cake. The chopped pistachio increases an interesting crunchiness. You may use any nuts you like instead. Here's the homemade sponge cake recipe here with a tutorial video if you want to try. recipe for sponge cake please? Ok, Will write it up soon. Thanks for your patience. Christine, this looks great! I have kids also eating the cake can I substitute the rum with something more child friendly? You may skip the rum and use the syrup only. Or combine honey with water to make syrup, yet not too thick. Whichever is fine. Can replace with rose water? Haven't tried rose water. You might experiment with it if you like. have you got the recipe for the sponge ? Yes, will write it up soon. Thanks for your patience. Hello Christine, would it be good if I substitute the strawberry with cherry? If use canned cherry, do I use the syrup? Drain it well. I guess you don't want your cream and cake to be too soggy. Hi Christine, thanks for sharing. I would appreciate it if you could kindly share the sponge cake recipe? Thank you so much. Got the sponge cake recipe with a tutorial video here. You're welcome.